Alibaba acquired the big data startup Data Artisans for 90 million euros. 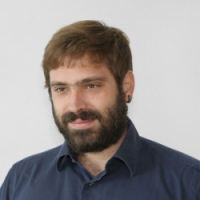 “We are excited” says ECE-NTUA graduate Kostas Tzoumas, co-founder and CEO of Data Artisans. Data Artisans, a Berlin-based startup, was founded in 2014 by Kostas Tzoumas and Stephen Ewen and provides distributed systems and large-scale data streaming services to enterprises. 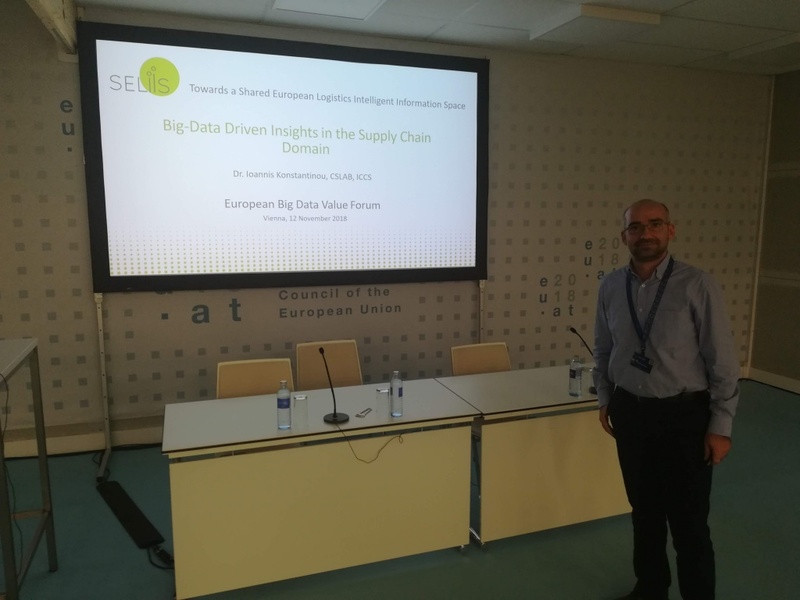 On January 7, 2019, three distinguished ECE NTUA alumni, Alexandros Dimakis, Christos Tzamos and Costis Daskalakis, spoke in front of a large audience at a Machine Learning mini-workshop in the new Building of ECE NTUA. For the 3rd consecutive year, Le Roi-NTUA Chess Club organized the annual NTUA Chess Tournament in cooperation with the NTUA Central Library and the School of Electrical and Computer Engineering of the NTUA. During the 18th and 19th of December 2018, ADVANTAGE AUSTRIA and the School of Electrical and Computer Engineering of the National Technical University of Athens with the support of the IEEE NTUA Student Branch held the programming competition “SENSORS & CODING HACKATHON 2018” in the premises of the NTUA. 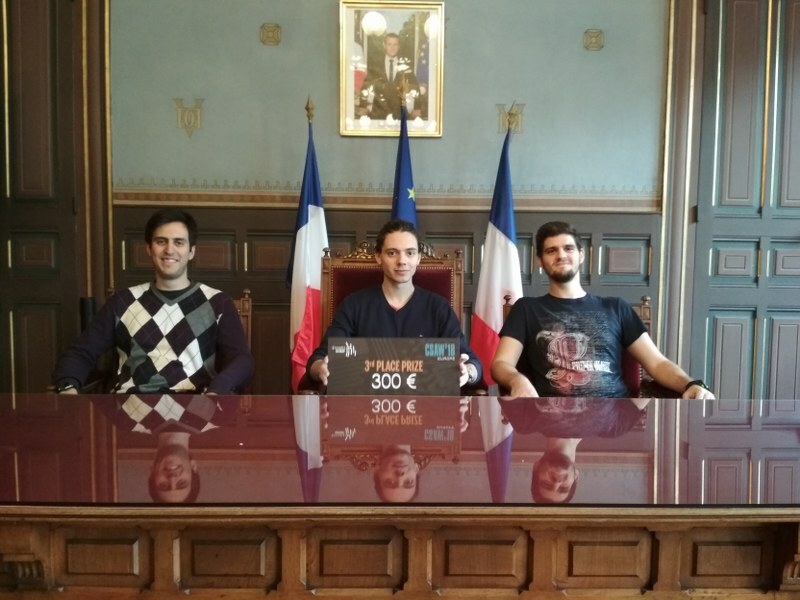 The research team “TheWhiteVan” consisted of three undergraduate students, Vakis Michail (ECE NTUA), Zografos Angelos (ECE NTUA), Stoumpis Alexandros (ICT UniPi), and their Advisor Christos Dimas (Phd Student ECE NTUA) was awarded Third Place in the category of “Embedded Security Challenge” in Europe region. 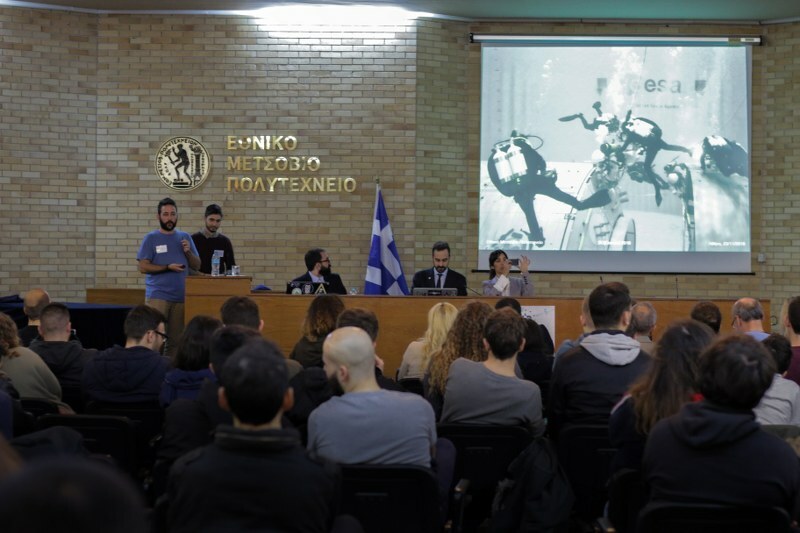 Space Generation [Greece] 2018 – Space Opportunities in Greece and ESA took place on Friday the 23rd of November at the Ceremonial Hall of the National Technical University of Athens and was organized by the School of Electrical and Computer Engineering of NTUA, as part of the European Space Agency (ESA) and Space Generation Advisory Council (SGAC)-supported European Space Talks initiative. On Wednesday, 17 October 2018, an honorable event was held at the Ceremonial Hall of the Administration Building of the National Technical University of Athens for the twenty-nine NTUA professors, from eight Schools, who left the Institution after the end of the academic year 2017-2018.